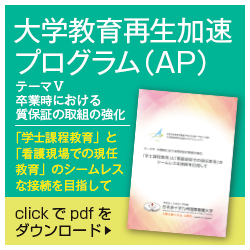 Morita, M., Honjyo, K., Nakamura, M., Yoshida, M.,Sakai, C., Tanaka, T., Higuchi , Y., Tonoki, T., Sakai, C.:Survey on awareness of the need for advance care planning (ACP) among medical service providers in the chronic illness field in Japan: From the results of a questionnaire survey conducted with doctors and nurses dealing with healthcare provision for renal, cardiac and respiratory insufficiency. 22nd International Congress on Palliative Care (poster), Montreal, Canada, 2018. 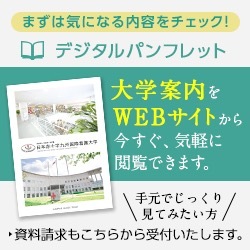 Sakai, C., Honjyo, K., Nakamura, M., Morita, M., Yoshida, M., Tanaka., T., Higuchi, Y., Tonoki, Y., Tanaka, A.：Advanced care planning for persons living with chronic renal failure: From the nurses’ narratives．21th East Asian Forum of Nursing Scholars ＆ 11th International Nursing Conferences(poster),, Seoul, 2018. Tanaka, A., Tanaka, T., Tonoki, Y., Morita M., Yoshida, M., Honjyo, K., Higuchi,Y., Sakai, C., Nakamura, M., : Advanced care planning (ACP) of persons who have chronic respiratory disease (CRD): From nurses’ narratives．21th East Asian Forum of Nursing Scholars ＆ 11th International Nursing Conferences (poster), Seoul, 2018. Higuchi, Y.,Yoshida, M.,Morita, M., Honjyo, K.,Tanaka, T.,Nakamura, M., Tanaka, A.,Tonoki, Y.,Sakai, C.:Issues identified from nurses’ narratives concerning providing support with advanced care planning (ACP) for chronic heart failure (CHF) patients．21th East Asian Forum of Nursing Scholars ＆ 11th International Nursing Conferences(poster), Seoul, 2018.